One of the most incredible movies ever made is this stop-motion animated film, made by moving carbon monoxide molecules around on the surface of copper at IBM. It’s incredible to think that when we look at this, we are seeing quantum mechanics – bonding at the nanoscale, and echoes of the wave nature of reality. It is one thing to use science to better understand the world, another to fear the world itself is crumbling all around you. And yet the scientists who were pursuing research during World War II must have felt both these things keenly, as the Great Powers became embroiled in the second major war in a generation. important to the course of the war, and the public perception of science was about to be changed indelibly. Researchers in Europe and the United States were digging to the heart of nuclear fission, an understanding of how the nuclei at the heart of atoms could split, changing into other elements in a naturally-occurring process. Fission was also thought to release an unheard of amount of energy, which in wartime led to one obvious thought: was it possible to use fission to build a bomb? After a report from the UK was shared with the US Army, which coordinated the results of a series of secret conferences to discuss the possibility of a fission bomb and how it might be designed, the Army Corps of Engineers launched what was called ‘the Manhattan Project’. Major General Leslie Groves was put in charge, and appointed as scientific director Robert Oppenheimer, an expert in neutron collisions at the University of California Berkeley (the only university with a particle accelerator powerful enough to make plutonium, which had been recently discovered in 1941). Oppenheimer’s first task was to find a suitable location to build a lab where a fission bomb could be designed, built, and eventually tested. As a child, Oppenheimer suffered from tuberculosis and recovered at the Los Alamos Ranch School in the New Mexico mountains. Far from any major settlements, this location seemed ideal to Oppenheimer and he suggested it as the main site for the Manhattan Project. The land at Los Alamos was purchased by the US government in late 1942, with scientific work beginning there in 1943. Initially General Groves had imagined a military installation, with the scientists in uniforms and posted away from their families. But key scientists balked at uniforms and many wished to bring their families with them. The Los Alamos scientists, working in secret, are often considered a boys’ club, plus wives. Yet even in wartime, and facing prejudice their male counterparts did not, women made huge scientific contributions to the success of the Manhattan Project. have nothing to do with a bomb!’ Her advancement of the theory of nuclear fission was, nevertheless, critical to the Project’s success. with a chemistry background would be welcomed on board. bomb’ in Alamogordo, New Mexico. 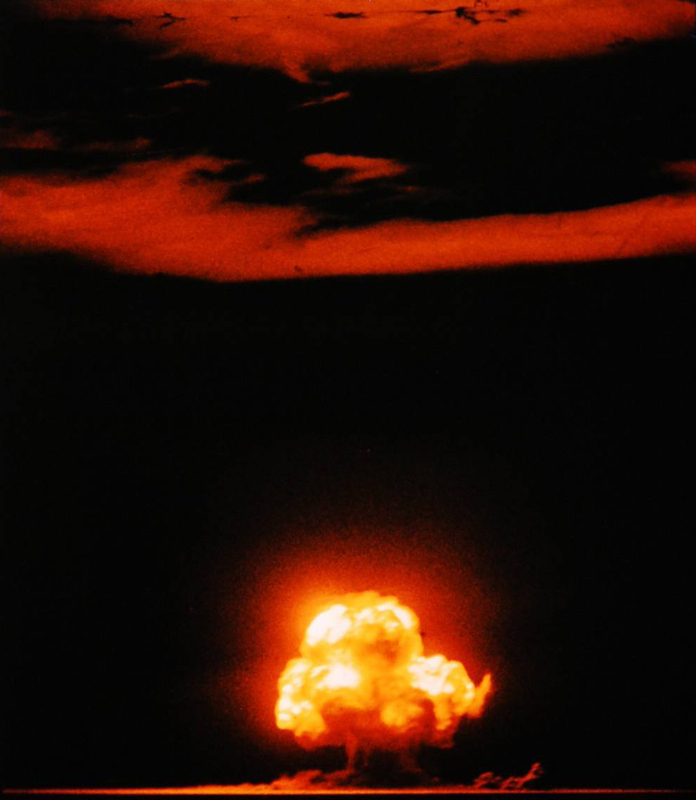 The Trinity detonation used plutonium as its fissile material, standing on the shoulders of Hornig’s work, but after seeing the devastation it was capable of, she signed a letter along with 100 other scientists requesting that the bomb be demonstrated to the Japanese on an uninhabited island. The next two nuclear detonations occurred over the cities of Hiroshima and Nagasaki, killing over 100,000 people. 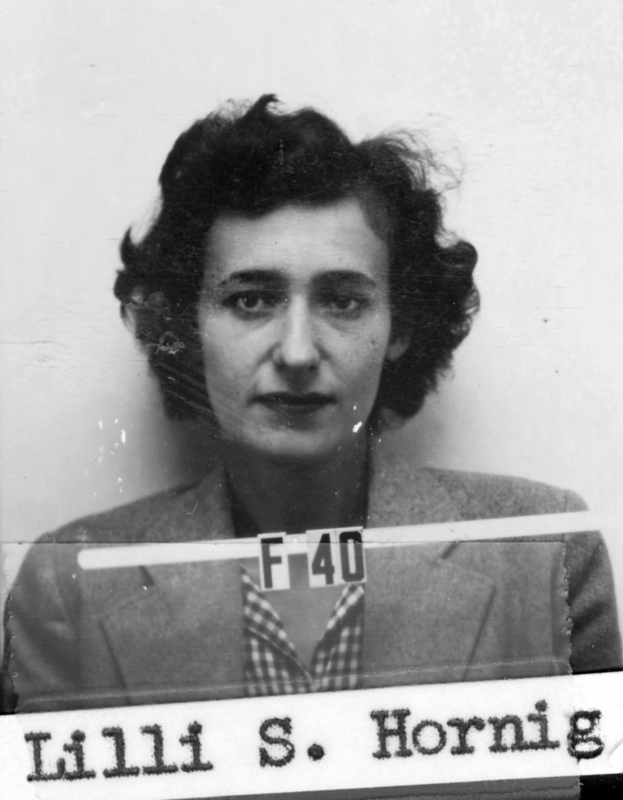 After the war had ended, Hornig went back to graduate school, getting her PhD and becoming a chemistry professor at Brown University. She was a feminist and a passionate advocate for women in science, studying inequality in the sciences alongside her first love of chemistry. vised by Max Born, the father of quantum mechanics. Goeppert Mayer came to America when her husband took employment as a professor at Johns Hopkins, but nepotism laws at the time prevented the wife of a professor from being employed at the same institution. Initially she worked unpaid, collaborating with others and eventually studying the separation of different atomic isotopes. The couple then moved to Columbia University and there Goeppert Mayer began her work with the Manhattan Project, studying isotope separation of uranium compounds to be purified into fissile fuel. While comparing different isotopes, she began to notice ‘magic numbers’ of nucleons which led to more stable atomic nuclei. In 1945, she went to Los Alamos to work directly with Edward Teller on the successor to the atomic bomb: the hydrogen bomb, which exploited the energy from the atomic fusion of elements. After the war, Goeppert Mayer continued to develop her shell model of the atomic nucleus, which she likened to pairs of waltzers at a dance: each nucleon was a waltzer paired with another waltzer, and more waltzing couples could be fitted into the nucleus by having some go clockwise, some anticlockwise, paralleling nuclear spin. She finally achieved her first full-time paid position as a scientist in 1960 at the University of California San Diego, after receiving her PhD in 1930. When she received the Nobel Prize in Physics in 1963, for her shell model of the atomic nucleus, the local newspaper headline read ‘S. D. mother wins Nobel Prize’. 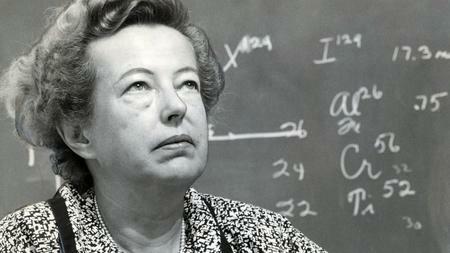 Goeppert Mayer was the second female Nobel Laureate in physics, after Marie Curie. Each of these women had critical scientific and technical contributions to the Manhattan project, but the politics of the time and secrecy surrounding the wartime effort shrouded the impact of their work. 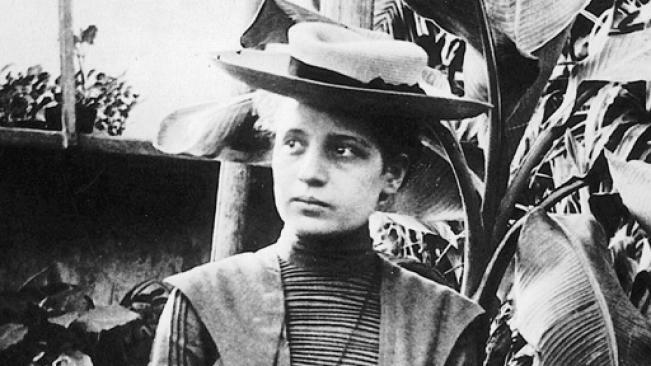 The contributions of male scientists to the Project are more widely touted, and although Hornig, Goeppert Mayer, and Meitner are long gone, the scientific establishment today still struggles to appropriately acknowledge the contributions of women. Furthermore, that a Czech, a German, and an Austrian were so central to ending an international war, displaced from their countries of origin, shows the value of immigration and even of wartime refugees. Despite difficulties accessing academia and key resources, female scientists played a major role in the Manhattan Project, the building of the first atomic bomb, and the end of World War II. Scientists, like most people, want to understand the world they live in. We examine the physical structure of the world, in the hope that understanding the rules governing it will also lend some clue as to what it all means. Ironically, as the boundaries of scientific knowledge grow, the possibility of any individual scientist grasping this entire meaning gets smaller and smaller. Even within science, the traditional disciplinary boundaries—biology, chemistry, physics—often separate scientists who should really be talking to each other. I have always loved talking to people who know different things than I do, prompted by curiosity and encouraged by family. But it can be rare to see famous scientists doing the same. 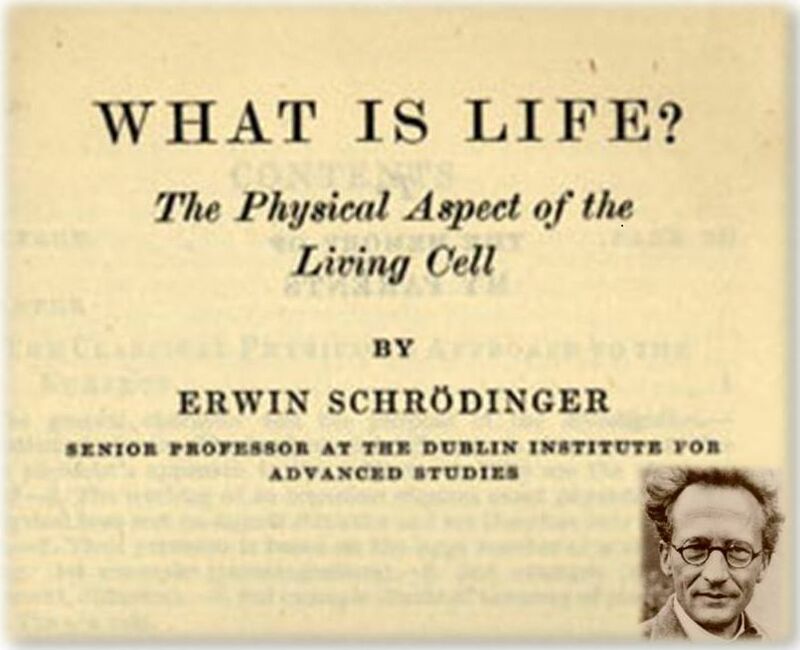 Erwin Schrödinger, a physicist famous for his mathematical and philosophical development of quantum mechanics, tried to reach across these boundaries and ask the question that compels so many of us, namely ‘What Is Life?’ His historic lectures were given in 1943, against the backdrop of world war and 75 years behind our current understanding of biology. And in a wise move for anyone trying to understand something new, Schrödinger began by admitting what he didn’t know: to him, the difference between what physics and biology had to say about life was the difference between “a wallpaper and a Raphael tapestry”. And yet, connecting physical understanding to biology has provided significant insights. When these lectures were given, the DNA molecule itself had already been discovered, but the double helix structure was yet to be found, along with much of our modern understanding of how this blueprint for life works. And yet the stability of the DNA molecule in the cell is directly due to the quantum basis of chemical bonds. Schrödinger expresses amazement that even with the perturbations caused by heat and environment at the molecular level, the naive physicist’s expectation of wild variability is incorrect, and chemical stability holds. While DNA does sometimes mutate in ways that persist through generations, forming the basis of natural selection, its ability to reproduce error free throughout our lives is amazing from a physics perspective. Especially when one considers the consequences of uncontrolled mutation, as the world would see only two years later as radiation-induced mutation caused terrible illness in the survivors of Hiroshima and Nagasaki. In trying to define life, Schrödinger comes to the idea of order and disorder, and the physicist’s idea of entropy. Although entropy, which is a measure of disorder, is bound to increase over time subject to the Second Law of Thermodynamics, Schrodinger posited that living beings were effectively decreasing their local entropy by exporting it, increasing order within the cell even if the broader environment became less ordered. Cheating the Second Law of Thermodynamics is a necessity for living cells, living beings, and even our planet to maintain local order. Schrodinger then concludes that living beings must be ‘negative entropy machines’, converting energy to local order, a perspective only a physicist could have come up with. Schrödinger’s willingness to admit what he did not know, and try to combine modern biology and modern physics even during wartime to unify humanity in knowledge, put me in mind of another, less famous, transdisciplinary scientist. I could nearly hear it in my dad’s voice. The “naive physicist’s approach” to understand the cell by looking to statistical physics and randomnessi misses the stability of chemical bonds in the DNA molecule and other cellular components. In a messy, changeable environment, the blueprints that make us have persisted through thousands of generations. As my dad used to say, biology had this figured out a long time before we even knew what questions to ask. But this isn’t to say that physicists have no business asking questions in biology, or vice versa. Biology is built on the laws of physics and chemistry, even if the exact details of how are still being puzzled out today. And questions that my dad put to me, as part of his own research, often had me questioning both physics and biology. How does a cell know what organ to build a piece of? What biochemical signals lead to the evolution of our own sensory organs, like ears or eyes? How does higher level order arise from molecule level decisions? I enjoyed discussing these questions with him, and asking my own about the chemistry of the nanomaterials I studied, and their current and possible future biological applications. 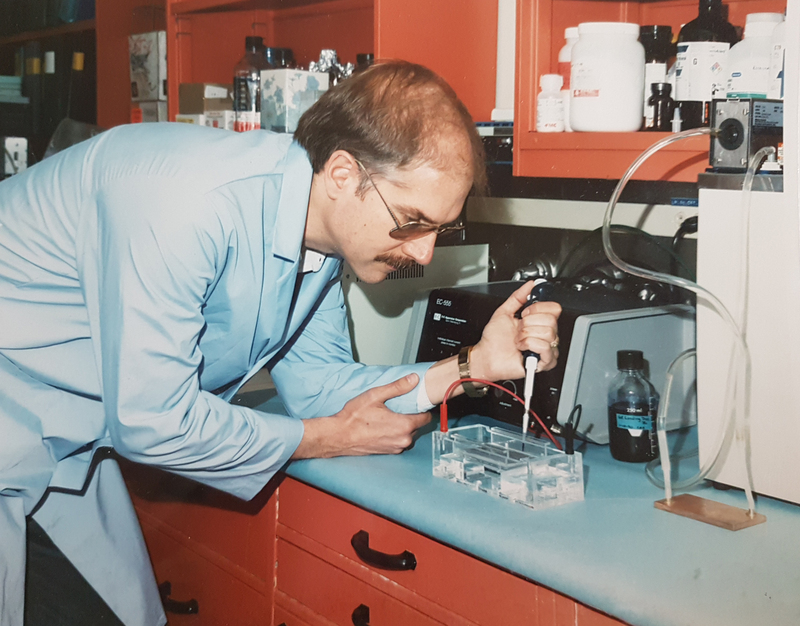 But the last big biological questions my dad asked ended up being about cancer, a scientific issue that has absorbed the careers of many researchers. Colon cancer took my father’s life last year, and when I have a question about biology, I can no longer call him to see if he’s thought about it before. At his memorial service, many friends commented how much they enjoyed talking science with my dad, whether they had a scientific background or not. He enjoyed discussing and debating these topics with anyone, even if and sometimes especially if they had a vastly different perspective to his own. But I think science would get a little bit further if we had more scientists like my father, or like Erwin Schrödinger, who were willing to cross disciplinary boundaries, admit what they don’t know, and see where they can go from here. My scientific colleagues may find this to be a very personal response to a scientific matter. But Schrödinger himself dedicated What Is Life? to the memory of his parents. We are all searching for answers together, inspired by those who have come before, and certain to be surprised by what comes next.